Two centuries ago, Adrian vowed to seek revenge against the Gypsy woman who bound his spirit for eternity. Despite how far under the dirt Miryah Kotorara's bones lay, he won't stop tormenting theKotorara bloodline. The person doesn't matter, only the name.Until her.Dr. Mia Kotorara has spent the last ten years trying to forget her Gypsy heritage. Ostracized by her familyand emotionally damaged, Mia throws herself into her work to fill the void. She forgets everything fromher past--except for the man who solely exists in her dreams.When reality and dreams collide, Adrian and Mia find something they never expected. 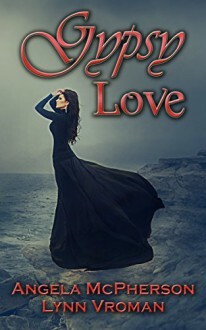 Love.Magic will bring them together, but it may not be enough to mend Mia's broken heart and Adrian's lustfor revenge.The Kotorara curse is never satisfied.As the curse threatens everything they have overcome, Adrian and Mia must fight to save what mattersmost--each other.